Hi there friends, it's Kelly, from Team Smiley. 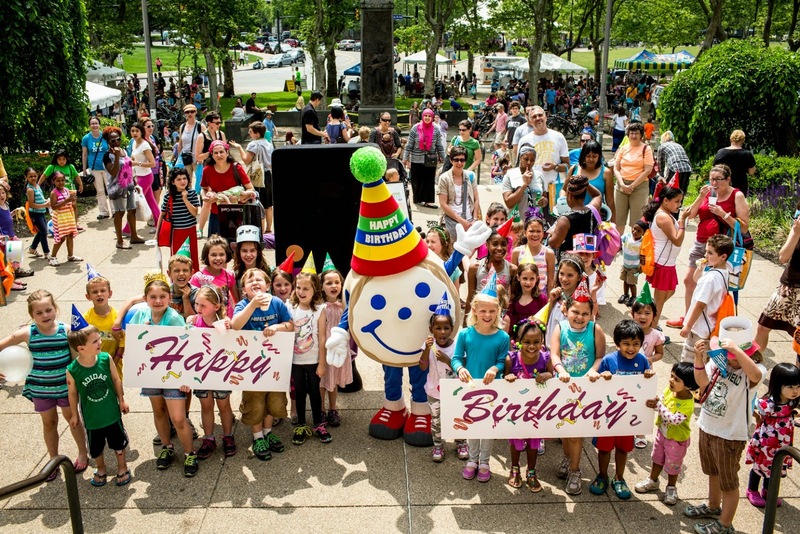 The team and I are off to a wonderful, fun-filled summer celebrating Smiley's Birthday! One of our favorite events was the Carnegie Library Reading Extravaganza on June 8th, which encourages summer reading and helps the library. 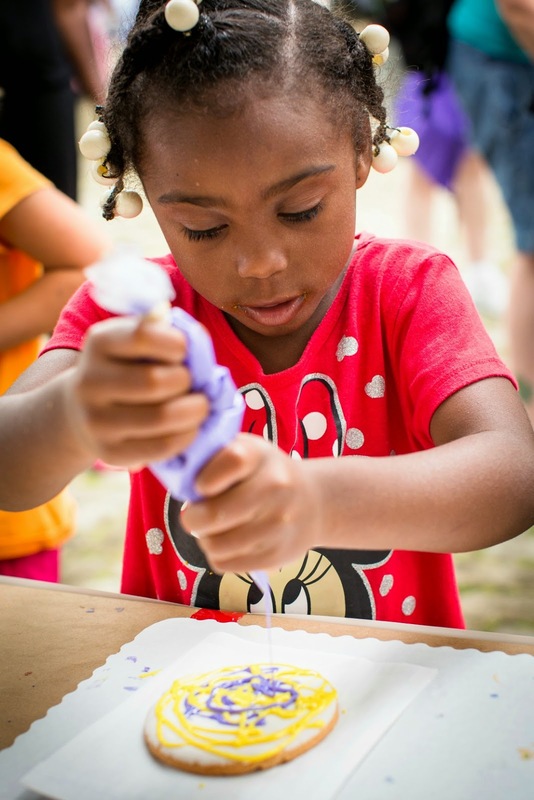 Festivities included cookie decorating, cake eating, and all-around celebrating Smiley's very special birthday. Carnegie Library's mascot, Library Card, was there too. Party-goers also had the opportunity to sign up for their very own library card. Smiley encouraged all his friends to dive into reading this summer! Smiley is lucky to have so many great friends who came out and celebrated with him. He was surrounded by his fellow cookie lovers, who sang to him. Look at how many friends joined in the fun! The hardworking team at Parkhurst even crafted a beautiful, delicious birthday cake for Smiley. It's summertime, which means pool parties, family road trips and best of all: new Smiley gear! Read on to check out what's new. 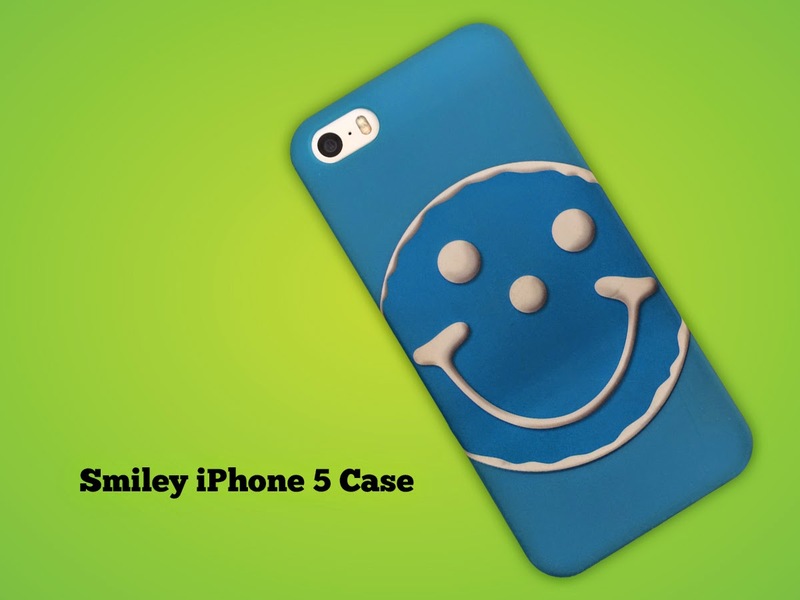 Looking for a stylish way to way to protect your iPhone and show your Smiley pride? Stop in and grab a Smiley iPhone case for just $7.99. These fantastic new cases are compatible with the iPhone 5, and are available at all Eat'n Park locations! Heading to the beach or an afternoon in the sun? Don't forget to bring along a beach ball! Our mini beach balls are back this year, and they're just $2.00! 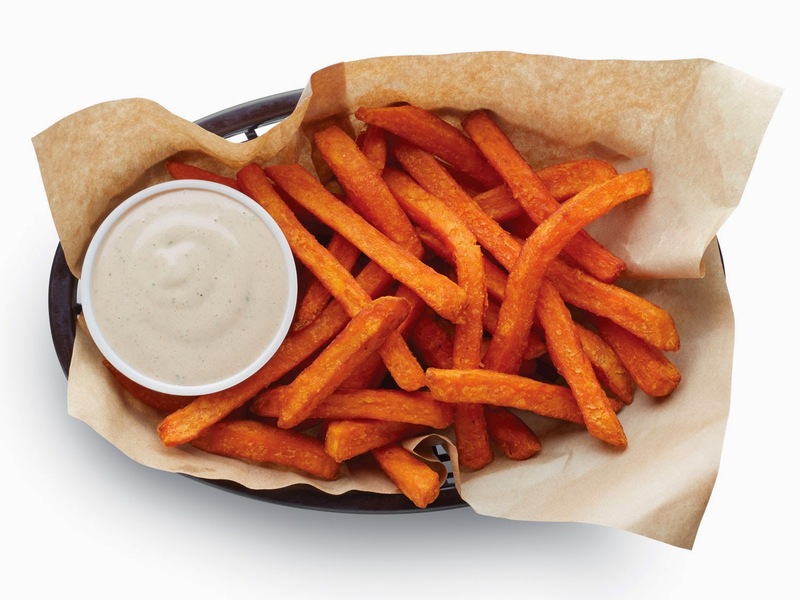 These won't stay on shelves for long, so stop in to your local Eat'n Park and grab one today. Smile in style this summer! Our summer T-Shirts for children and adults (available at select locations) are the must-have accessory for your summer wardrobe, starting at just $9.99. All summer long, you’ll be able to read about Team Smiley’s adventures here on our blog. And, if you happen to cross paths with them at an event, be sure to check our Photo Gallery to find your photo! Hi everybody! My name is Laine. I’ll be a senior next year at E.W. Scripps School of Journalism at Ohio University. My major is Strategic Communication and I’m minoring in English. I love to read, write, doodle, cook, and explore the outdoors. But most of all, I love hanging out with my family and friends - Smiley included! I’ve worked for Eat’n Park for the past 5 years at the McKnight Road location, and I’m super excited to be a part of Team Smiley. 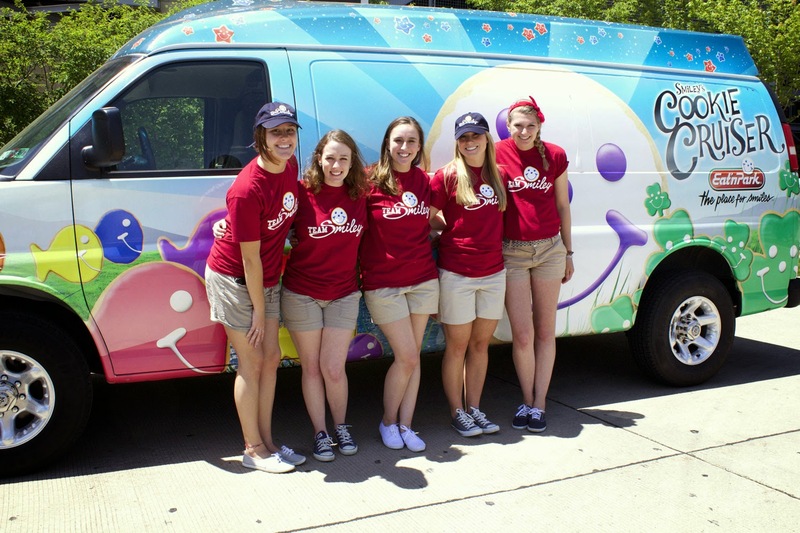 I can’t think of a better way to spend the summer than traveling around with the team and spreading the fun of Smiley Cookies! A lot of people would be surprised to discover that I am a twin (Hi Will!). 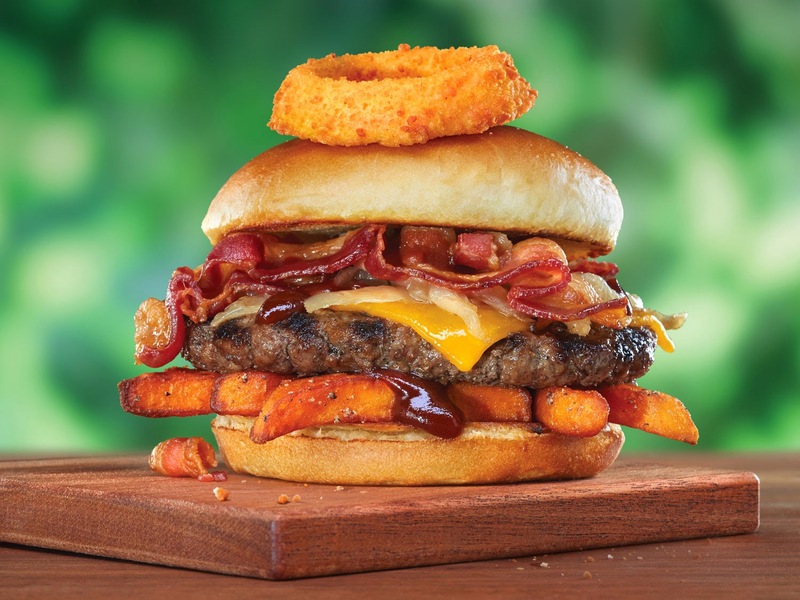 My favorite Eat’n Park meal is currently a Gardenburger with fries. My favorite Smiley Cookie shape is the classic round Smiley. They’re always a colorful, delicious treat. I can’t wait to make new friends this summer as I travel with the coolest crew around! Hello everyone! My name is Caitlyn, and I am going to be a junior at Duquesne University. My major is Public Relations and Advertising with a minor in Corporate Communications. In my free time I enjoy going to the movies and concerts. I spend a lot of time with family and friends, and I love to meet new people. I also love to read and explore all the exciting things that Pittsburgh has to offer! 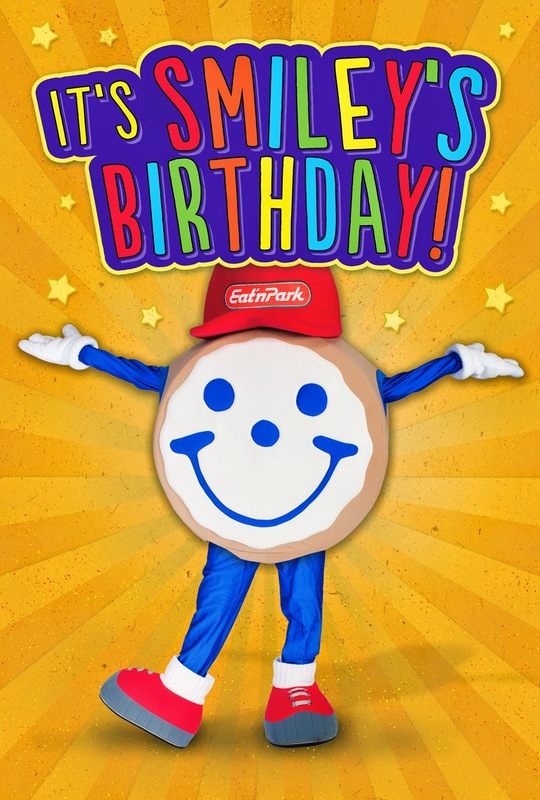 I have been an Eat’n Park team member for 5 years at the McKnight Road location, and I am so happy to be working with Team Smiley. I am most looking forward to bonding with my fellow team members, (and Smiley of course!) and I want to bring smiles to all of the communities we serve! 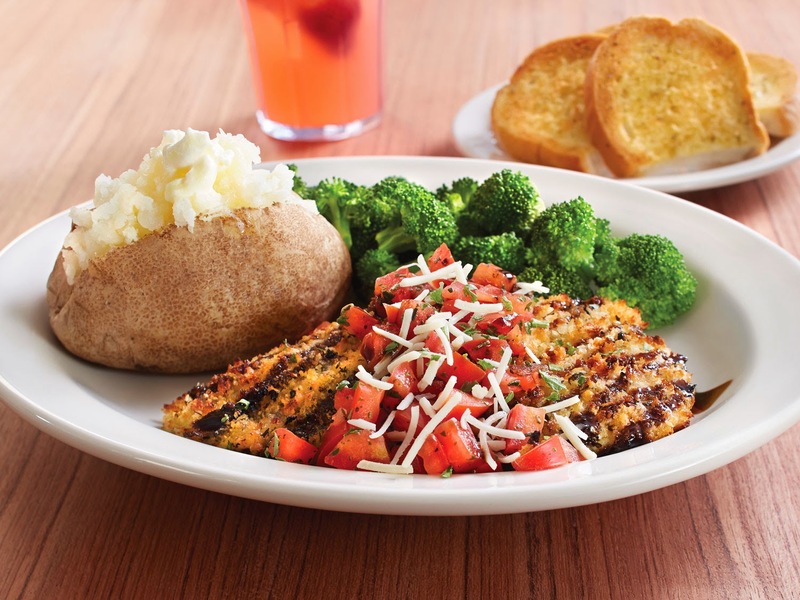 My favorite Eat’n Park meal is the Baked Chicken Bruschetta with potato pancakes and bean blend. As for my favorite Smiley Cookie, I especially like the Bunny Smiley Cookies and the original Smiley. 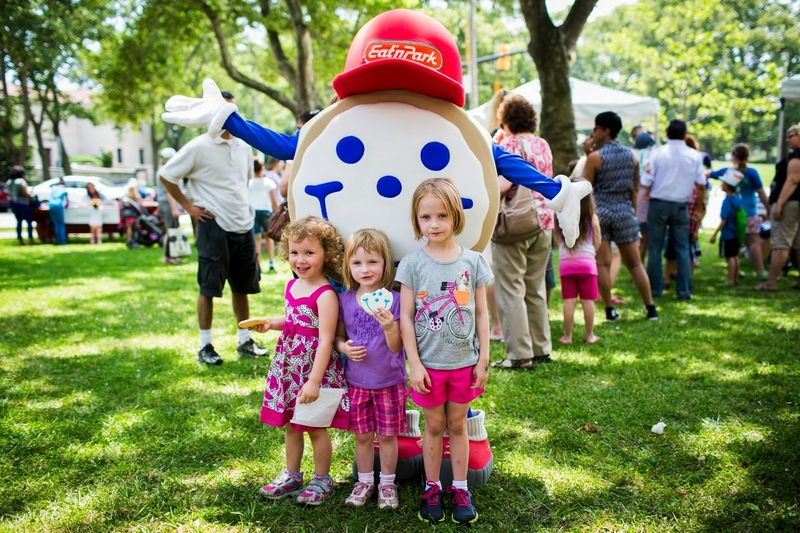 As I look forward to the summer ahead, I can’t wait to share smiles and spread joy to everyone we meet! Hi everyone! My name is Carly and I am a Marketing major at the University of Pittsburgh. I will be a senior in the fall and am so excited to be a part of Team Smiley and the Eat'n Park family! When I'm not having a blast with Team Smiley, you can find me working at Hello Bistro in Oakland, hanging out with friends, or solving Sudoku puzzles in record times. 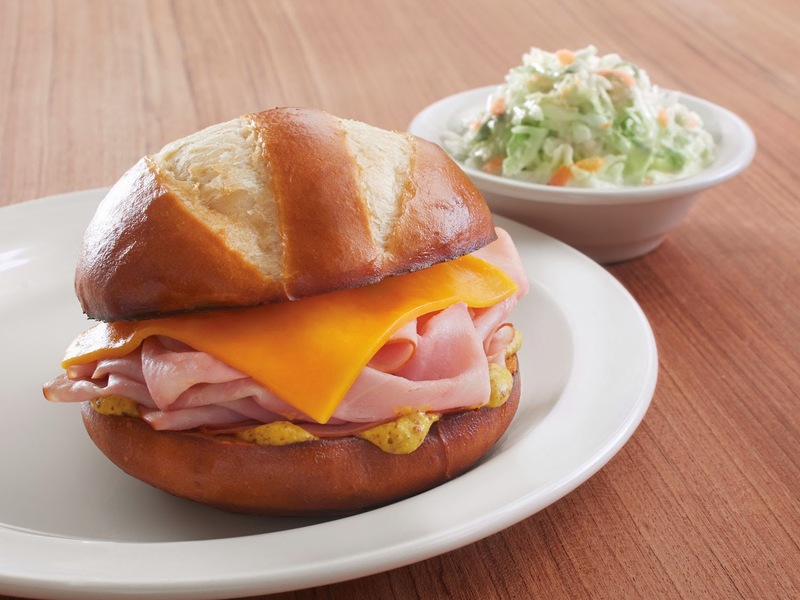 My favorite Eat'n Park meal is definitely the classic Turkey Club! Eat'n Park has perfected this double-decker sandwich, which goes great with the Fresh Potato Chips and a fish shaped Smiley Cookie! I can't wait to work with a great team to spread smiles and fun all over town! Hello, fellow cookie lovers! My name is Randi, and in the fall I will be a junior at Saint Vincent College studying Public Relations and Advertising, and Children’s Studies. In my free time I enjoy spending time with my family and friends, shopping, travelling, reading and playing with my two dogs. As a cheerleader for the last 15 years, I love engaging with people and spreading smiles and cheer! I can’t wait to do those things with Team Smiley this summer! My favorite Eat’n Park menu item would be the Potato Soup and flower shaped Smiley Cookies, of course! 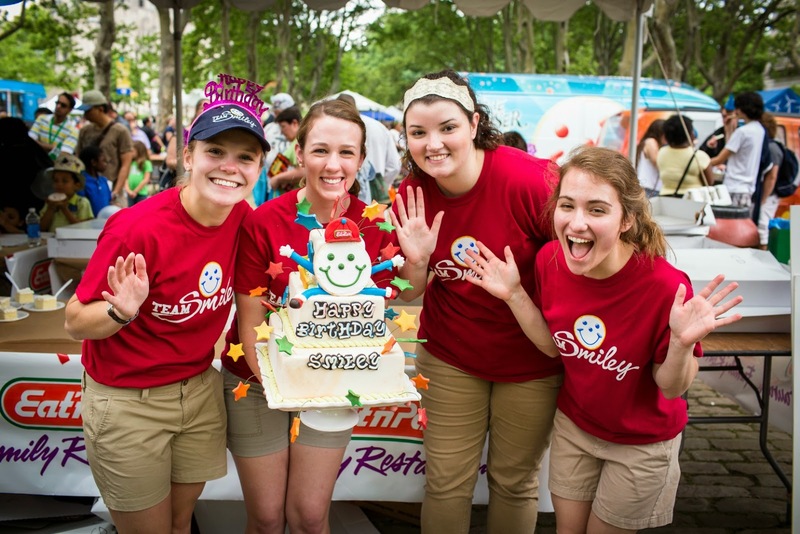 I can’t wait to travel with the team and Smiley to the Pittsburgh Zoo, Kennywood, and other events this summer! Hi there, friends! My name is Kelly and I’ll be a junior Corporate Communication major at Duquesne University in the fall. When I’m not hanging out with my buddy, Smiley, I love spending time with my family and friends, enjoying the sun, and dancing around my house in my pajamas. Something you may not know about is that I love traveling, and fittingly I just returned from a semester abroad in Rome! 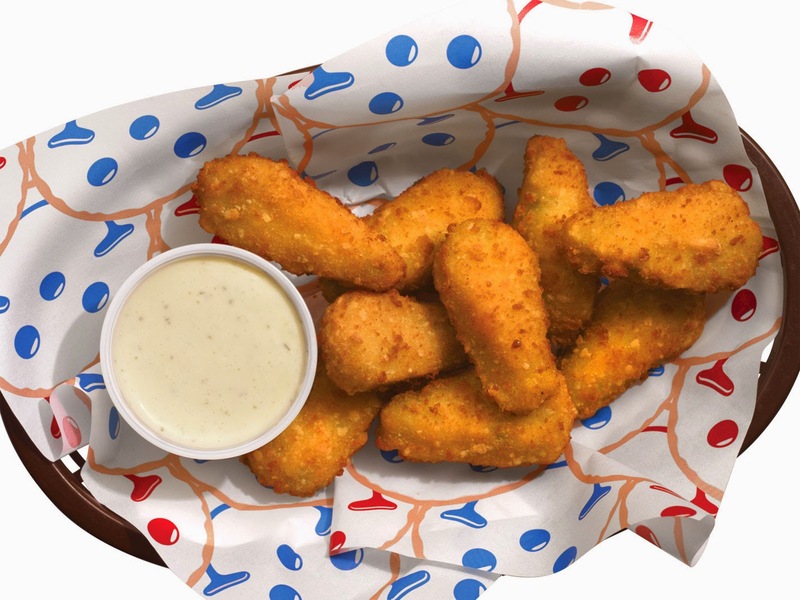 My favorite meal to order at my neighborhood Eat’n Park restaurant is definitely the All-American Scrambler, with my favorite Smiley Cookie shape being the summer fish. I’m most looking forward to traveling around the different communities all summer long with my fellow Team Smiley members, the Cookie Cruiser, and of course, our dear friend Smiley! 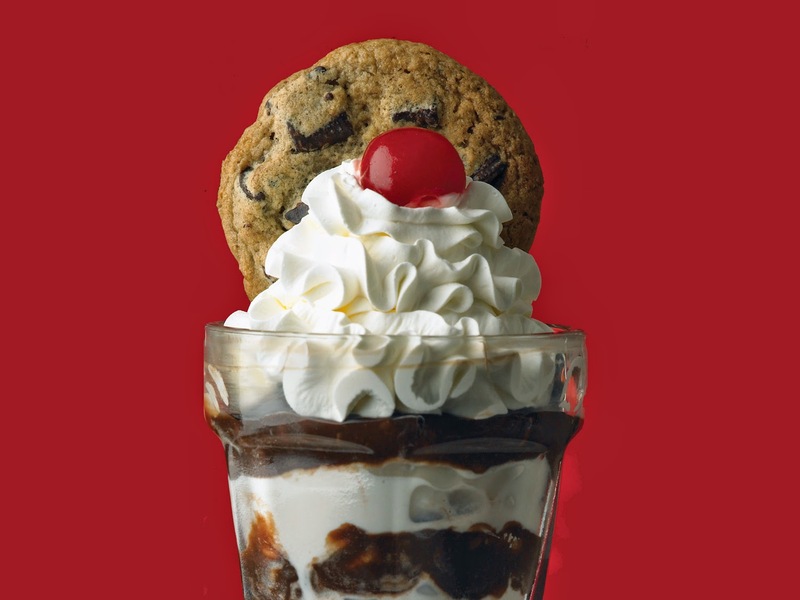 At Eat'n Park, we are in the business of making people smile. That can take shape in many forms and occur in many contexts, but volunteering outside of our work space is one big way that team members are lending a hand and sharing a smile to those in our communities. 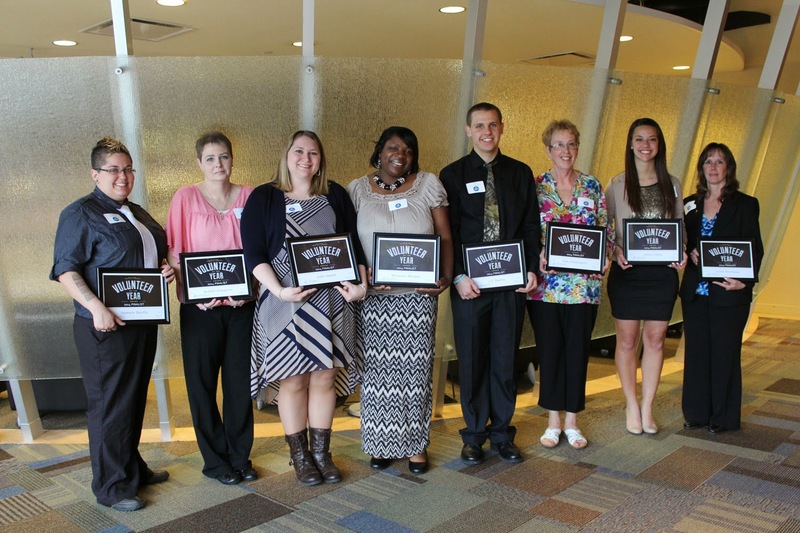 This April, we honored eight selfless volunteers during our 2014 Eat'n Park Hospitality Group Volunteer of the Year Awards. Each individual recognized is creating positive change and inspiring others to follow! We are proud to announce that this year's Eat'n Park Hospitality Group Volunteer of the Year is Shannon Morgan. Shannon is part of our Parkhurst division and is a prep cook at Capital University. Through the creation of Cooking To Help Enrich Families (CHEF), she is making a difference in the lives of individuals and families who receive food assistance. 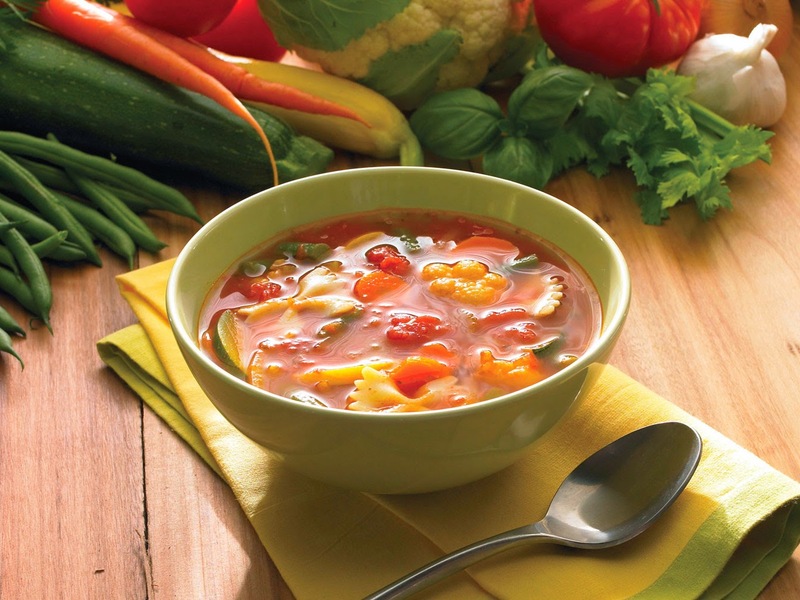 CHEF is an educational program that Shannon created, focusing on the efficient management of a family's food dollars while, at the same time, creating nutritional meals that enhance the quality of life for the families. She conducts her CHEF classes at the YWCA of Columbus, as well as a local rec center and church. When asked why volunteering is important to her, Shannon replied, "I was once there, and someone reached out and helped me, so I will reach out and help others." 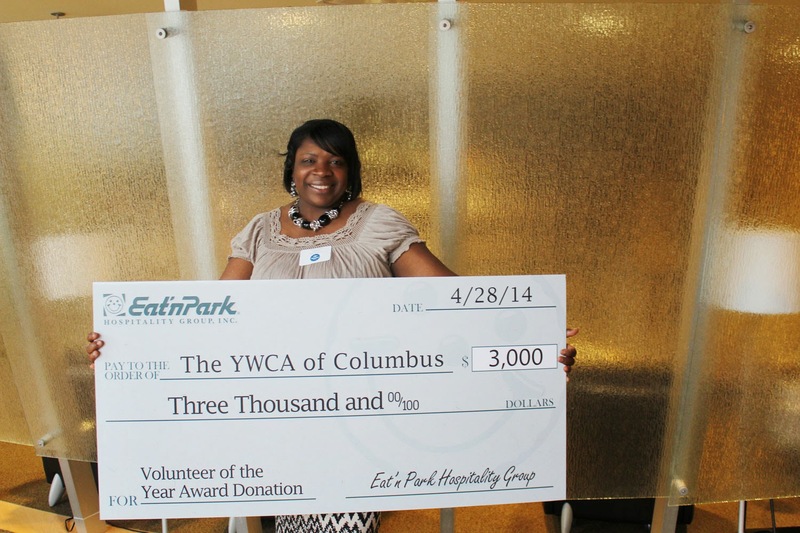 Eat'n Park Hospitality Group will be donating $3,000 on behalf of Shannon to the YWCA of Columbus, OH. We also awarded an honorary mention to Pam Cronenwett. Pam is a 12 year team member at our Austintown, Ohio Eat'n Park Restaurant where she works as a greeter trainer. She has been a volunteer for Habitat for Humanity for 15 years and has held several offices within the organization during that time. In addition to helping build homes, Pam provides financial training to new homeowners. 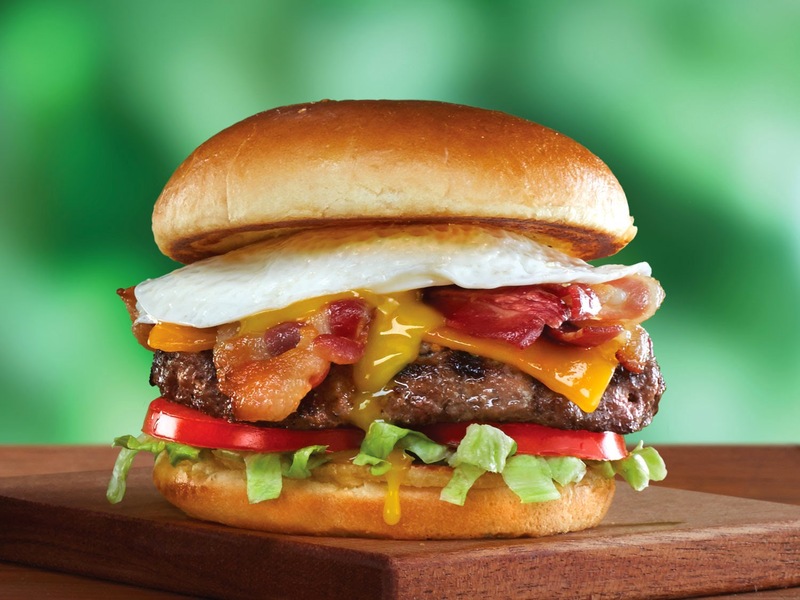 Eat'n Park Hospitality Group will be making a $1,000 donation to the Habitat for Humanity of the Mahoning County on behalf of Pam. Please join us in congratulating Shannon and our other finalists for their extensive efforts in the community. We are so proud to honor such special members of our Eat'n Park family. 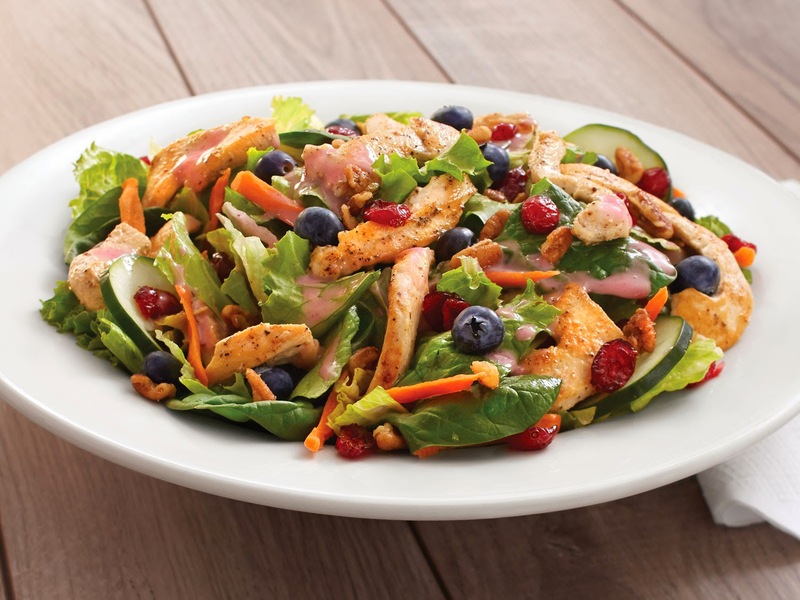 Summer weather is finally here, and that means new summer menu specials! We've got some great new items you're going to love, along with some returning favorites! 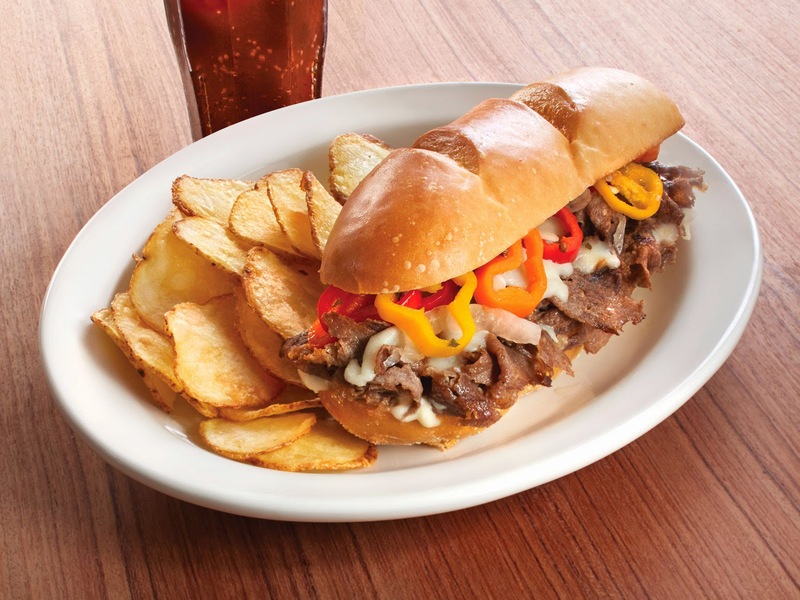 Keep reading for the full scoop on what's hot this summer at Eat'n Park! 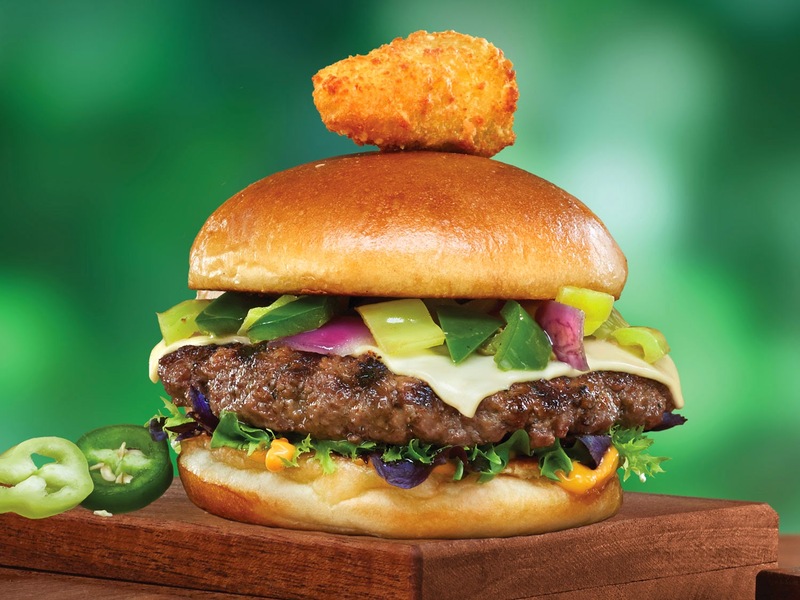 Plus, don’t miss our Big, Bold Summer Burgers! Click here to read all about them. We start with a graham cracker crust, fresh sliced bananas and creamy pudding. Then we top it with whipped cream and gently drizzle it with syrup. 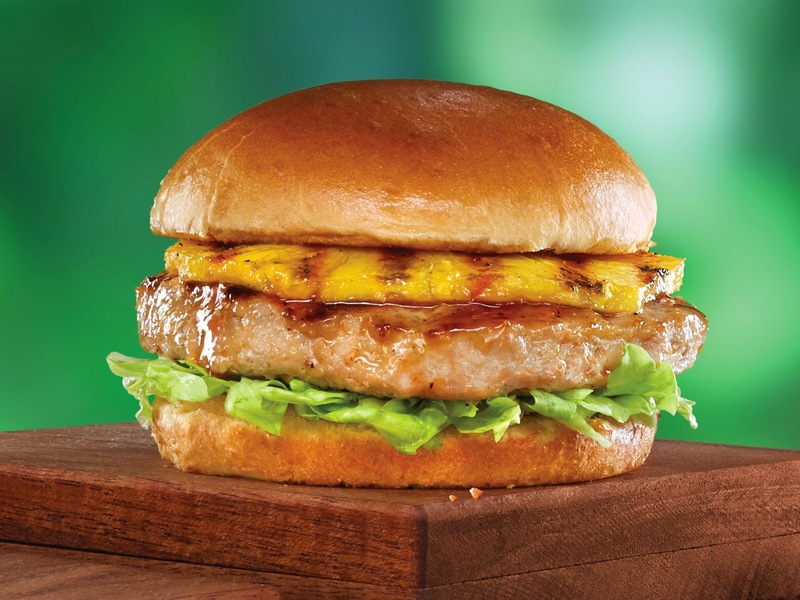 You'll go bananas for this one! 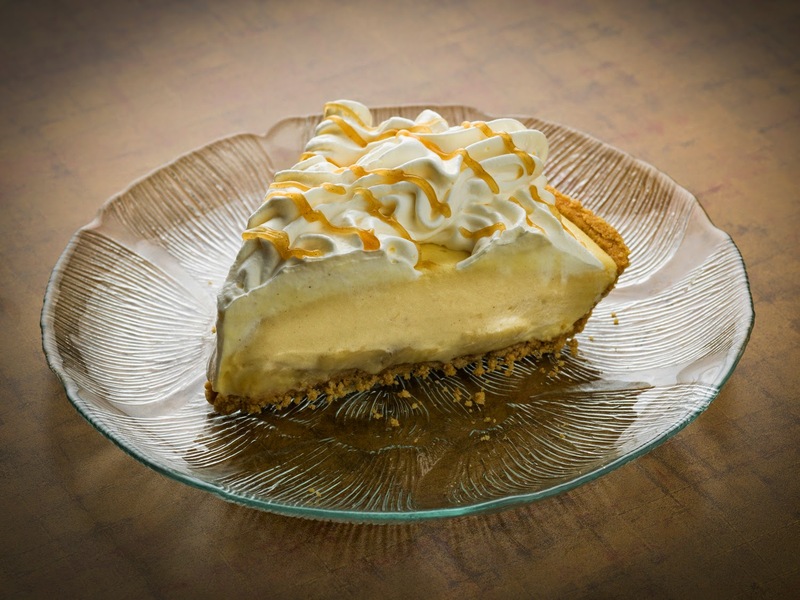 It's also our Pie of the Month, and is on sale for $1.99 a slice. Or take home a whole pie for $7.99!